In order to provide maximum flexibility we operate a fleet of flat-bed and drop-side. This enables loading of containerised cargo as well as break-bulk goods, from standard shipping dimensions to out of gauge (over height and width) as well as heavy loads exceeding the regional load limit of 30MT. The strong construction of our trailers allows or loading of up to 32 MT of break – bulk cargo. We have gained valuable experience in loading bagged cargo, drums, cartons, steel/copper coils, timber and several other commodities. Our fleet also includes drop-side trailers (trailers with collapsible side) that provides extra stability to cargoes that may in bulk exhibit liquid properties. All cargo is secured and covered with tarpaulins to protect the cargo from the elements. For a quotation please contact the relevant office. 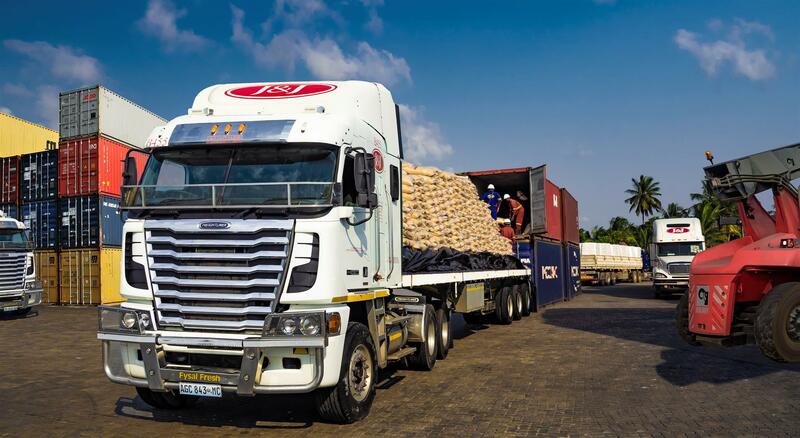 All cargo is carried at owners risk, however we will take all necessary precautions to ensure you cargo arrives safely It is recommended that you arrange for insurance, to cover loss or damage. Though we take all precautions, transport is not without its risk. If you are moving containerized cargo then please use this link.